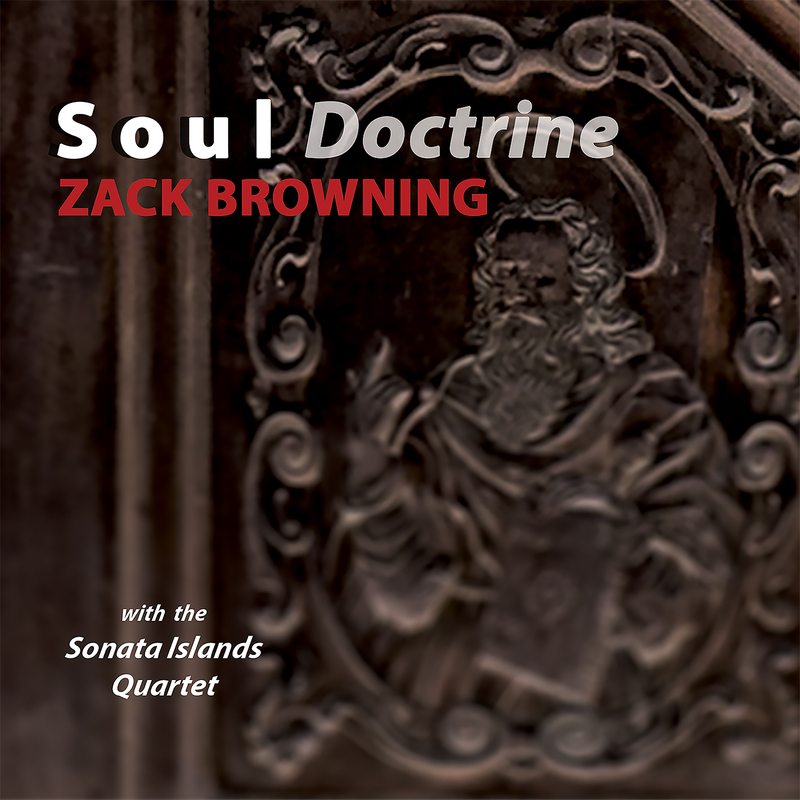 In the album Soul Doctrine, composer Zack Browning employs Chinese magic squares, feng shui, astrology, and historical quotes to construct a spiritual world of melodic patterns and harmonic spirals — all interwoven with a corporeal world of rock-inspired, driving rhythms. Time appears frozen, restructured, and propelled forward by applying esoteric workings to the birth dates of performers, musical visionaries, and dates of political events. But the effect on the listener is to entangle them joyfully in vigorous syncopations of vibrant musical material. In the title track, Soul Doctrine, a pulsating piano pushes the distorted electric guitar and fiery flute into a powerful and emotional journey consisting of dynamic turns and colorful collisions inspired by the 16th century music of the Reformation and Counter-Reformation. The rich sound world of Silent Crackdown reflects the tragic events of the “228 Incident” in Taiwan and the compelling music played at Taiwanese funerals to awaken the dead. In Flute Soldier, a magic square from 1514 provides for a percussive palette of punchy, melodic loops. Unafraid combines quotes from Handel, the Holocaust, and Bob Marley with pounding rock rhythms to make a powerful statement about survival. Rock Furious wraps up the album with a loud and relentless rush of pop-inspired riffs derived from the performers’ ruling planets. The remarkable chamber ensemble Sonata Islands was established by Emilio Galante to perform both classically-orientated new music and jazz/rock-based new music, making Sonata Islands the perfect match for Browning’s rhythmically-charged music. Sonata Islands, based in Trento, Italy, has organized festivals in Milan since 2002 and in Trento since 2006. Zack Browning (b. 1953) is a composer whose music is described as “way-cool in attitude…speed-demon music” (The Atlanta Journal-Constitution) and “propulsive, giddy, rocking… a rush of cyclic riffs and fractured meters” (The New York Times). The Irish Times proclaimed he is “bringing together the procedures of high musical art with the taste of popular culture”. His solo album Banjaxed on Capstone Records has been called “the aural equivalent of the pinball machine. Imagine sassy, brilliant bumpers with each slam of the ball sending a glitter of lights and mechanical twitters through your chest.” (American Record Guide). His recent solo albums Secret Pulse and Venus Notorious are available on Innova Recordings. Browning is an Associate Professor Emeritus at the University of Illinois and director of the Salvatore Martirano Memorial Composition Award.